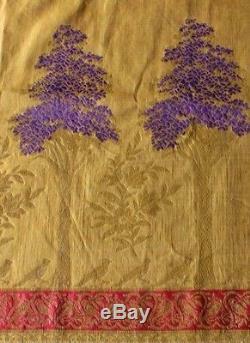 Sonia's Antique And Vintage Textiles. 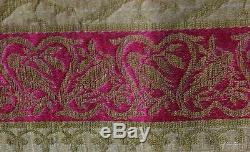 I have been collecting and enjoying my antique textile collections for over thirty five years. 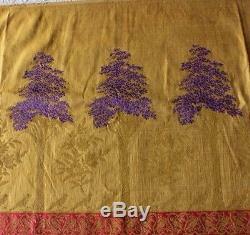 Exquisite French Antique 19th Hand Loomed Bird & Tree Gold Metallic Silk Brocade. 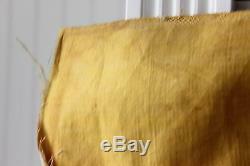 Used in the past and stains, perhaps water stains, can be seen along the top edge. 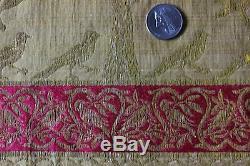 This is a border fabric and the loom width was just 21, so it appears to have. Been woven on an 18th century looms. 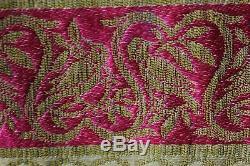 It is a stunning textile. 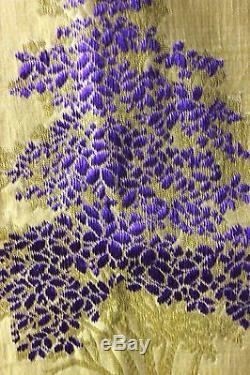 If you have any questions about the fabric, please do not hesitate to ask. 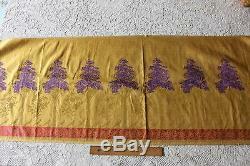 The item "Exquisite French Antique 19th Hand Loomed Bird & Tree Gold Metallic Silk Brocade" is in sale since Friday, June 9, 2017. 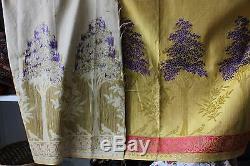 This item is in the category "Antiques\Linens & Textiles (Pre-1930)\Fabric\Silk".